We offer free daily exhibition tours. No reservation required. Public tours meet in the south atrium. Tours daily at noon, with additional tours Thursdays at 6 p.m. and 2 p.m. on weekends. Details here. 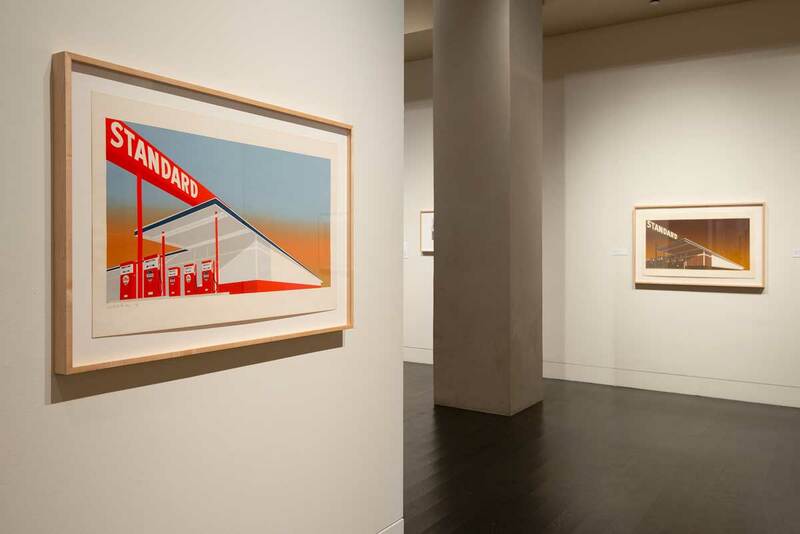 Ed Ruscha: Archaeology and Romance is the first major exhibition drawn from the Ransom Center’s Edward Ruscha Papers and Art Collection. Featuring more than 150 objects, the exhibition presents Ruscha’s celebrated books, photographs, drawings, and prints alongside unpublished archival production materials, layout sketches, and studio notebooks. Organized by Dr. Jessica S. McDonald, the Nancy Inman and Marlene Nathan Meyerson Curator of Photography, Ed Ruscha: Archaeology and Romance examines the stages of conception, design, and production leading to the publication of Ruscha’s groundbreaking artist’s books, and provides audiences with an unprecedented look into Ruscha’s creative process. 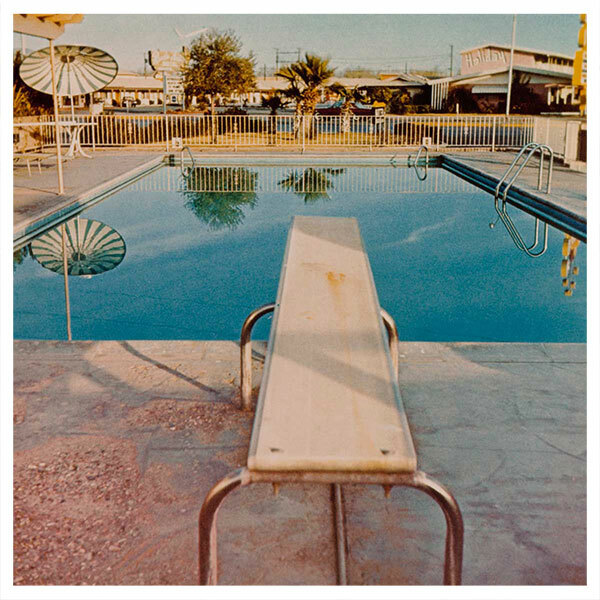 At the same time, Ed Ruscha: Archaeology and Romance explores Ruscha’s persistent engagement with the artifacts of American popular culture, including vernacular architecture, commercial signage, the iconography of the road, and the manufactured romance of Hollywood. 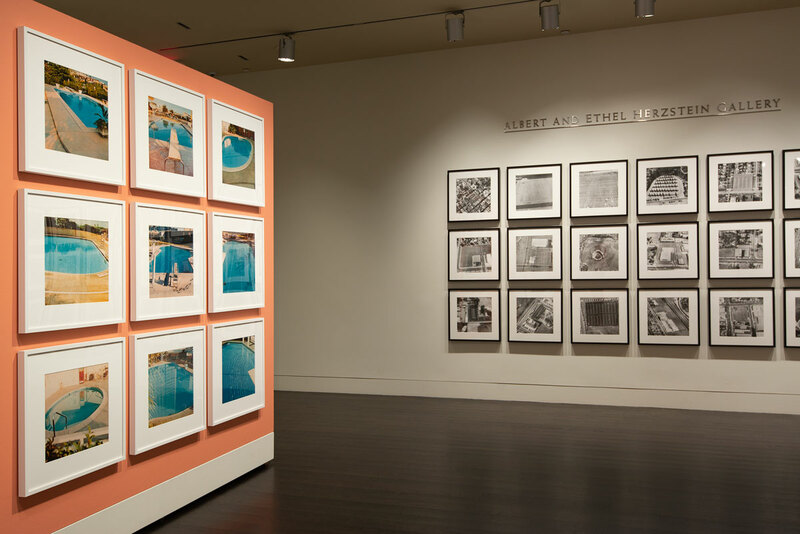 The exhibition explores the ways in which the motifs introduced in those landmark books—motifs such as the gasoline station, the apartment building, the palm tree, and the swimming pool—have inspired later works in other media.